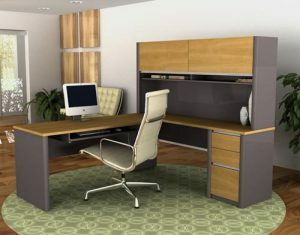 If you’re searching for a reputable office furniture company in Norcross, Georgia, that offers first-rate new and used office furnishings at budget-friendly prices, turn to the experts at NorthPoint Office Furniture. With more than two decades of experience in the industry, we’ve proudly helped numerous business owners and residents alike acquire pieces from some of the most prominent office furniture manufacturers, such as Lesro Office Star, Humanscale, Cherryman, and Global, without debilitating their finances. At our conveniently located 8,000-square-foot showroom, NorthPoint Office Furniture showcases all of our exceptional products in fully staged displays, allowing you to more easily envision the furniture in your own office. Here, you can see, feel, and compare all of the different types and styles of furniture we offer in person. What’s more, one of our furniture specialists will take the time to understand your functional needs, budget, and deadline in order to develop a personalized solution and recommend the best options for you. To learn more about what sets us apart from any other office furniture company in Norcross, GA, contact NorthPoint Office Furniture today.